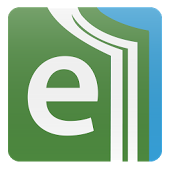 The app supports the complete EBSCO eBooks experience, allowing you to discover eBooks in our library's collection, download them to your device, and begin reading immediately, all within the EBSCO eBooks app. Follow the link at the top for instructions on how to download EBSCO ebooks. Stat!Ref contains current editions of 81 medical, nursing and drug reference books and texts in full-text format. This app is available for iPhone/iPad, Android, and Blackberry devices. While EBSCOhost automatically displays a mobile-optimized version of the site when you access their site using a smartphone or other device, the mobile interface allows you to search and read results and gives full access to search options and MyEBSCOhost folder items. 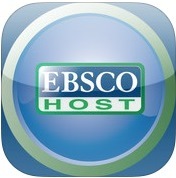 The EBSCOhost app is available for iPhone/iPad and Android devices. To gain access, click on the iPhone and Android apps link at the bottom of one of our EBSCOhost database pages, enter your email address, and follow the directions in the email you receive.